Help your body to get lean, receive FREE guide, newsletters and the latest content straight into your inbox. Learn, get motivated, take action and become THE BEST OF YOU! The aim of this blog is to help you to live a healthy and active lifestyle by making the better choices. You will find here non-biased helpful articles and practical ideas how to get rid of the excessive body fat stress-free way, weight loss tips, workout plans and tips, fitness motivation tips, healthy meal ideas, and videos. Learn, get motivated, take action and become the best of you! Subscribe to our newsletters & make fitness your obsession. Learn, get motivated, take action and become THE BEST OF YOU! My name is Mary James. I am blogging on behalf of Lean Body Formula team. The aim of this blog is to help you to live a healthy and active lifestyle by making the better choices. 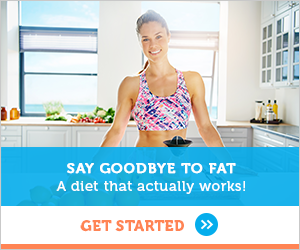 You will find here non-biased helpful articles and practical ideas how to get rid of the excessive body fat stress-free way, weight loss tips, workout plans and tips, fitness motivation tips, healthy meal ideas, and videos.